RIH opened on Friday with the Grand Marshal Tour. 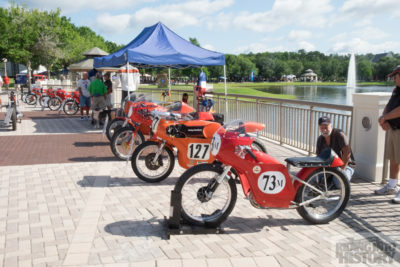 Led by American flat track racing legends Bill Werner and Scott Parker, over 50 entrants rode their vintage mounts on a scenic north Florida route to a luncheon in historic St. Augustine. 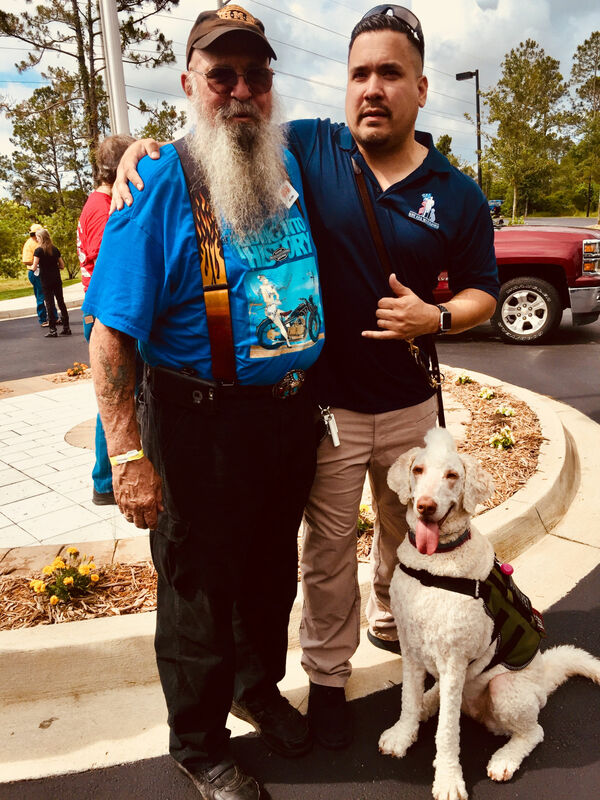 Along the way, they stopped at the K9’s For Warriors campus where they met staff and warriors during a rest stop. The K9’s For Warriors have been the recipients of almost $200K dollars from RIH in recent years. 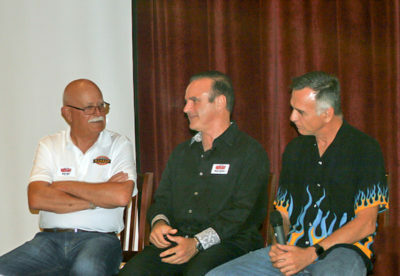 During dinner Friday evening, Brian Slark of the Barber Motorsports Museum interviewed Parker and Werner. Also at dinner Anthony Cala, a recipient of a service dog Judie, sponsored by RIH, made a very emotional presentation, receiving a standing ovation from the over 200 attendees. Later a silent auction was held raising additional funds. For the second year in a row the weather forecast for Saturday was for rain and wind. Indeed, there were storms throughout Florida, affecting the plans of entrants and guests. But, as happened last year, the weather gods were kind to Riding Into History and the weather held. In fact those that made it to World Golf Village enjoyed a lovely, cool day. RIH featured Competition Motorcycles this year, in particular flat trackers. In keeping with the theme, there were special displays of the iconic Harley Davidson XR750 race bike and Sons of Speed board track racers. 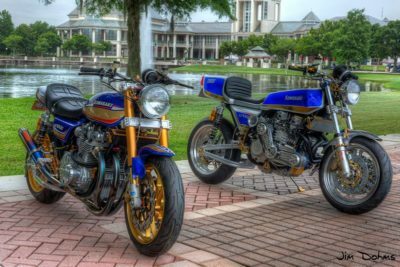 Of course there were more than racing bikes as RIH welcomes vintage motorcycles of all types. The field included outstanding entries in all the various categories, making for a difficult task for the judges. Over 125 awards were distributed at the post event presentation. 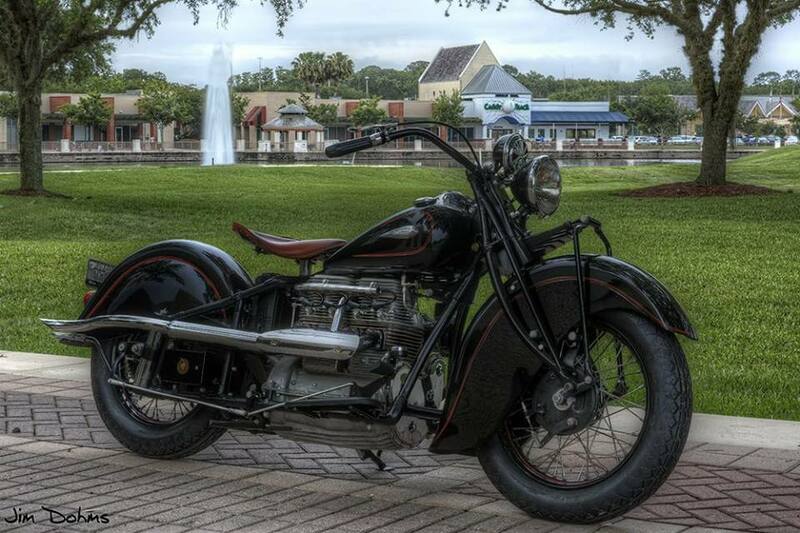 Nelson Citta’s gorgeous 1940 Indian 440 was awarded Best In Show. The Preservation Award went the original 1940 Triumph Tiger of Mike Crone. Scott Parker selected James Duke and Fay Waldrop ‘s 1946 Famous James for the Grand Marshal Award. The Chairman’s Award went to Jack Wells for his 1936 DKW. 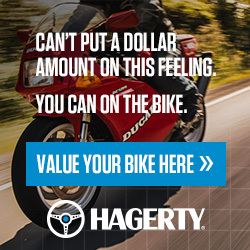 The Barry Boone Award for Best HD XR750 was won by Pat Conroy’s 1972 TT model. The Spirit of Riding Into History, sponsored by The Leishmans’ went to Celia Williams for her 1957 Zundapp Bella R203. 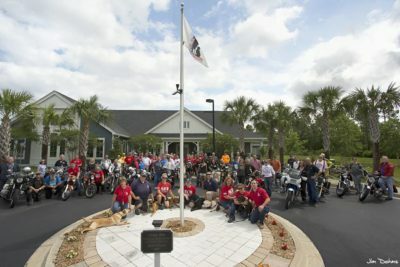 Be sure to mark your calendars for May 18, 2019 as Riding Into History celebrates our 20thanniversary, “Wheels Across America” A Tribute to the American Motorcycle.